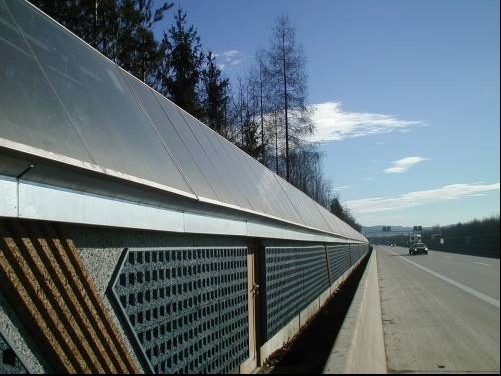 Summary The previously existing noise barrier on the A2 in the urban area of Gleisdorf fulfilled no longer the requirements of a modern noise barrier and therefore it should be replaced. The energy consulting firm m2 Master Management developed in collaboration with the Province of Styria a new, innovative solution to the noise problem - the so-called multi-functional noise plant (MLA). The existing wall was increased, and on the north side of the eastern route in addition to a length of about 1300 m with an approximately 1.3 m high, integrated PV-system was installed.